There’s growing interest in therapy and assistance dogs for children with autism, thanks to the good reputation of these specially trained dogs for helping in everyday situations and during meltdowns. Christine Tizzard Psychology has Gus, a dog who works calmly with autistic patients during assessments. Gus brings a sense of reassurance and familiarity to them, and can often distract patients from worries or fixations they bring into the room. 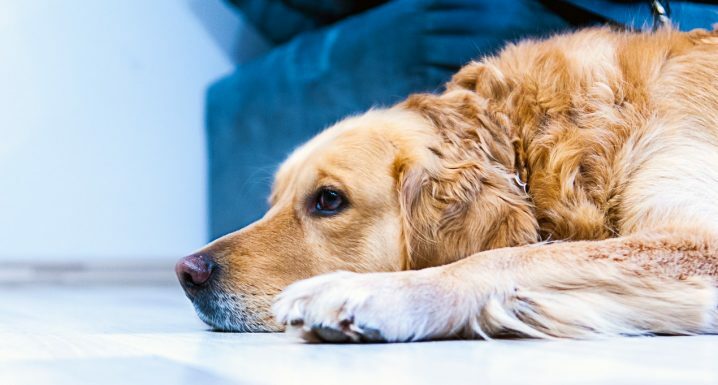 Whilst many studies recommend buying a therapy or assistance dog for an autistic family member, this isn’t always possible – you may not have the space, time or money to care for a dog; you may live in rented accommodation without permission to have pets; someone in your family could be allergic to dogs (guinea pigs have also been studied as an alternative). Demand for therapy or assistance dogs also outstrips supply across the UK. Assistance or therapy dogs can be trained to respond to verbal or visual cues (such as a repeated action, obsession or outburst) and interrupt this behaviour by nudging or touching the child. This distraction method helps break the cycle and brings comfort. Autistic children sometimes wander off, causing distress to parents and carers, especially in unfamiliar surroundings. Assistance dogs can find children quickly. A parent or responsible adult should hold the lead of an assistance dog in public and give commands, but secondary leads can give a more confident autistic child the chance to ‘take the reins’, without risking the child or the dog’s safety. Dogs provide loyalty and friendship. Unlike fiercely independent cats, dogs also need to be taken for walks, providing a social element for the whole family. Walks usually involve meeting people who take an interest in the dog and start a conversation, which will help a child with lower verbal abilities or social anxiety. An autistic child can help care for their dog – for example, brushing them, fetching water or playing fetch. The routine and responsibilities will help them immensely. Therapy or assistance dogs must be individually matched to children and families; this isn’t an overnight process, but it can have a transformative effect on an autistic child’s behaviour and the frequency of meltdowns. Just make sure you choose a dog provider and trainer registered with either Assistance Dogs UK or Assistance Dogs International (nationally accredited organisations).